Architects-In-Training Ledia Durmishaj and Samantha Wai provide a behind the scenes look into the design of Gresham, Smith & Partners (GS&P). Located on the top floor of One Enterprise Center, GS&P may be one of downtown Jacksonville's most impressive office spaces. As designers and architects of healthcare facilities and sustainability advocates, the concepts of health and wellness permeate our work. Yet people’s homes and workplaces impact their wellbeing just as much or more than their doctors’ offices or hospitals. 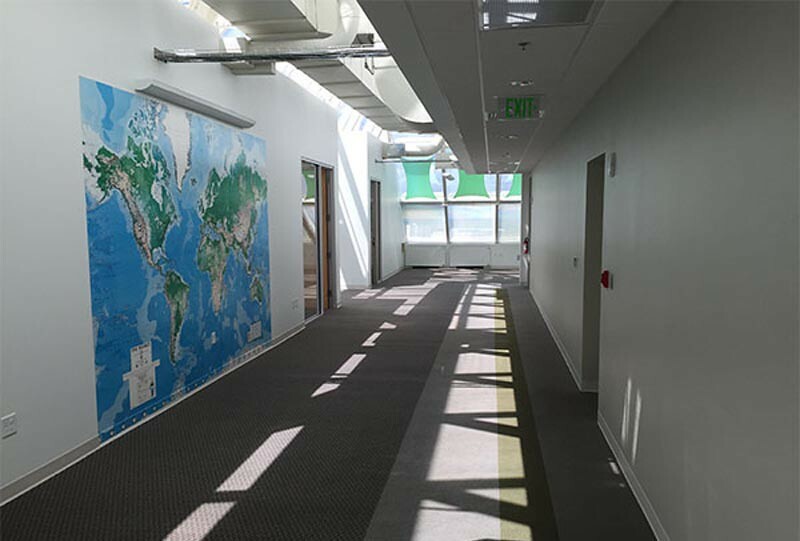 GS&P’s Jacksonville staff took that to heart when relocating from the suburbs to downtown and – without even intending to – designed a new office that closely aligns with the new WELL Building Standard. The International WELL Building Institute defines this standard as “an evidence-based system for measuring, certifying and monitoring the performance of building features that impact health and well-being.” Why does that matter in a place of work? 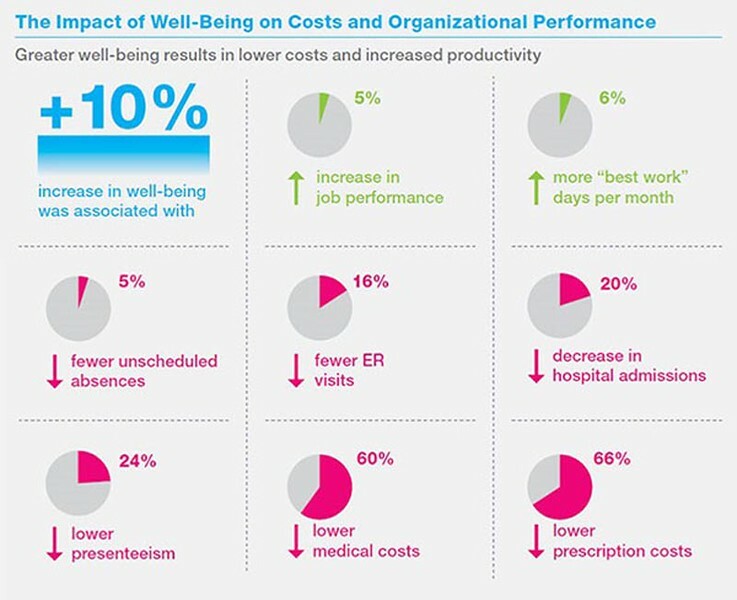 Because there are clear connections between employees’ wellbeing, productivity, and healthcare costs, according to the Healthways Center for Health Research. Thanks to a presentation at Greenbuild 2015, Samantha and I, healthcare intern architects in GS&P’s Jacksonville office, first learned about WELL shortly before the office relocation. As we delved deeper, we soon realized the new workplace designed by Jacksonville’s Corporate + Urban Design studio closely aligns with the standard’s seven concepts: Light, Comfort, Mind, Fitness, Air, Water and Nourishment. WELL Standard: Illumination guidelines aim to minimize the disruption of circadian rhythms, which can enhance sleep quality and boost productivity. Before: Private offices and overhead duct work shielded most of the light.Before: Private offices and overhead duct work shielded most of the light. 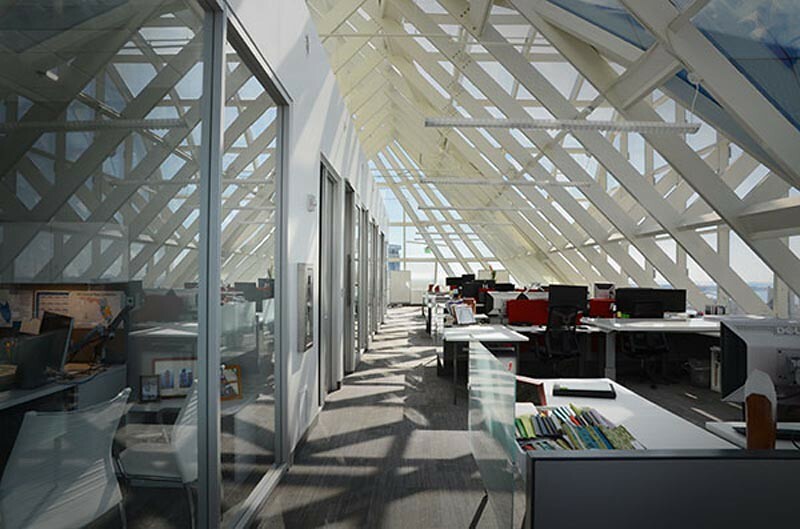 After: Natural light permeates throughout the entire office.After: Natural light permeates throughout the entire office. WELL Standard: Requirements in this category focus on creating distraction-free, productive and comfortable indoor environments. Our space: Imagined as a “design workshop,” our open office concept promotes communication and collaboration. Excellent Wi-Fi and a variety of alcoves, meeting rooms and collaboration spaces allow staff to find the working arrangement that best fits their needs at any given time. Writable wall surfaces and movable panels also allow for spontaneous brainstorming throughout the office. 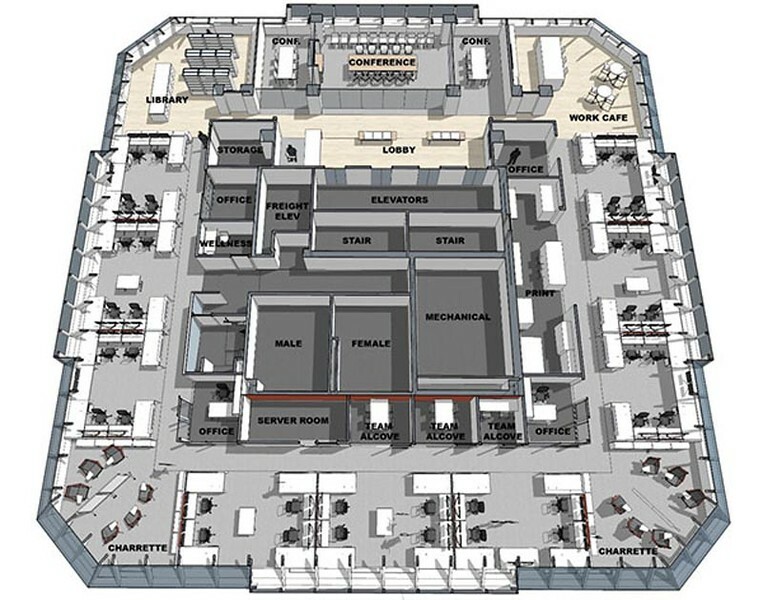 Partitions between workstations were designed to help with the space acoustics, and we’re currently looking into occupant controlled moveable shading devices for glare reduction. WELL Standard: Design, technology and treatment strategies support the creation of a beneficial physical environment for cognitive and emotional health. Our space: Concentrating offices and support spaces at the building core and preserving an open perimeter created a more inspiring work environment by maximizing the availability of daylight and views of downtown Jacksonville and the St. Johns River. When employees feel stressed or overstimulated, a wellness room with a comfortable lounge chair and speaker playing soothing sounds offers a refuge to meditate and relax.